The 1921 Census of Canada is online at Ancestry.ca. At present, there is free access to the indexes and to the images of the census returns, with no indication of how long that will last. I have found some relatives, though one had his first name wrongly transcribed. I had trouble finding another family until I searched just on first names and found that Jackson had been transcribed as Jachea, but the enumerator’s handwriting is so bad it is difficult to blame the transcriber. Michael Dun has sent us an email to say that there is a photo of Dundee Courier staff in 1911 - some 300 of them – on his website at www.Dun.org.uk/1911. The website is mainly devoted to the genealogy and family history of the Dunn and Dun Families in Scotland, but there are links from the home page to more about D.C.Thomson people and others in Dundee and Fife. As well as the Thomsons, Dundee's other publishing dynasty is the Leng family. You can read all about this remarkable family in The Lengs, a book available from our shop at the very reasonable price of £5.00 (plus postage and packing). As previously noted in this News column, the 25th Anniversary Conference of the Scottish Association of Family History Societies will take place on Saturday 26th April, 2014 in the Carnegie Conference & Business Centre, Halbeath Road, Dunfermilne, KY11 8DY, Scotland. The location details are missing from the notice printed in the October Historian. The latest version of the notice can be found here - scroll down the page to find the notice. The programme for the event has been finalised and can be downloaded here . Lanarkshire F.H.S. is hosting another Family and Local History Show on Saturday 23rd August 2014 in Motherwell Concert Hall. There will be four lectures, accessed by ticket, which can be purchased beforehand or on the day. Numbers will be limited to 75 people. 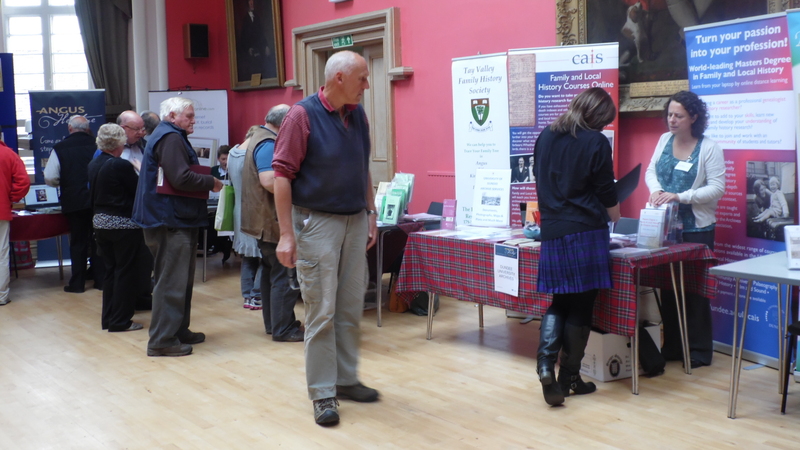 The History Fair in the Concert Hall will have a large selection of family history, heritage and commercial stalls. It will be open to the general public from 10:00am to 4:30pm. This will be a family fun day as well as an excellent experience for the dedicated family historian and local/social history enthusiast; some child friendly activities will be included for the youngsters attending. One of the National Trust for Scotland’s more unusual properties is Robert Smail's Printing Works in Innerleithen in the Scottish Borders. A visit to the works was a prize in a raffle at the SAFHS Conference last May. The prize was won by our then Chairman Murray Nicoll, who has sent in a report on his visit. This is a working printing works, owned by the National Trust for Scotland. The firm started life in the mid 1800s, and continued for 120 years, through 3 generations of the same family. The last owner never married, and therefore had no heirs, so the firm was offered for sale on his retirement. The National Trust of Scotland bought the premises and contents, which included the complete machines and equipment for the ongoing use of the works. A lot of the machinery was the original equipment installed at the setting up of the business. Smails never threw out any printed material pertaining to the business, making this a considerable boost to archive material of the area.Part of their business was the printing of shipping tickets, as well as acting as the local representative for the shipping firms. Persons wanting to travel abroad did not have to go to London, Liverpool, or other ports of embarkation to purchase their ticket, but drop in to Smails and book their voyage there and then. Books of tickets, some partly used, are still stored there. The partly used ticket books show details of the shipping routes for the journeys around the world, along with passenger’s details. This material has now been incorporated into the National Trust for Scotland archive area and can be reached via www.nts.org.uk/smailsarchive. Images of contract tickets can be downloaded at www.nts.org.uk/smailsarchive/search.php. A ticket shows passenger’s name, departure date, the shipping line, the ship’s name, departure and destination ports and fare. It also gives the statutory water and provision amounts to be supplied by the ship’s master for each passenger. There is also the daily Bill of Fare. Even if you cannot find a relative, it is worth downloading a ticket to see the statutory provision requirements. If you live in or are visiting the Borders, you may be interested in events taking place at Smail’s Printing Works - www.nts.org.uk/Property/Robert-Smails-Printing-Works/Events/All. 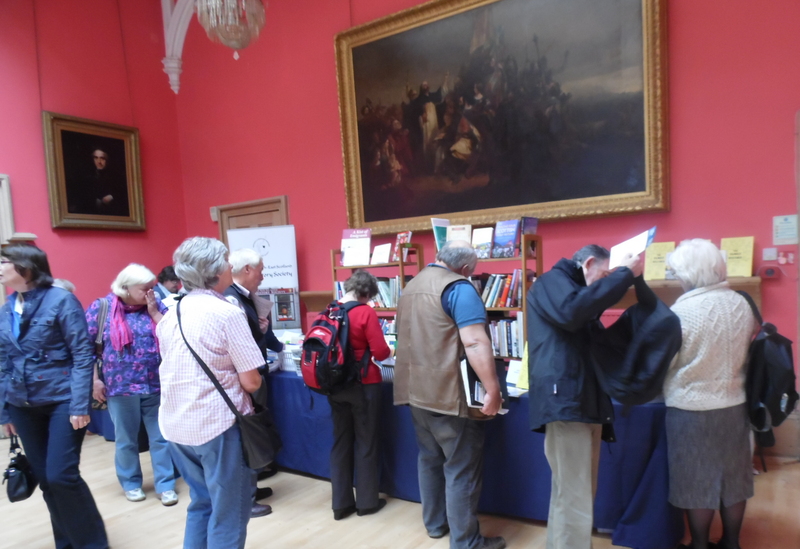 An event taking place in the Tay Valley area next month is the 2013 conference of the Scottish Records Association (SRA), held in conjunction with the Archives and Records Association (ARA). The conference is entitled Et in Archiva Ego, artists and archives. It will take place in the Norrie-Miller Studio, Perth Concert Hall on Friday, 8th November, 2013, with registration between 09.30 and 10.30 am. The provisional programme, which includes a booking form, is on the notice board in the TVFHS Research Centre. Alternatively, the programme and booking form can be downloaded from http://www.scottishrecordsassociation.org/conferences.htm. Booking form and fees have to be submitted before 1st November. The morning session (10.30 to 12.30) will discuss information sources for researching the life and works of artists. The afternoon session (13.45 to 16.50) will explore how archives and historical research can be the inspiration for the creative arts. To celebrate the launch of their “fantastic new bookshop”, The National Archives are offering 33% off a range of family history titles. Many other books on historical and genealogical topics are sold below the recommended prices. 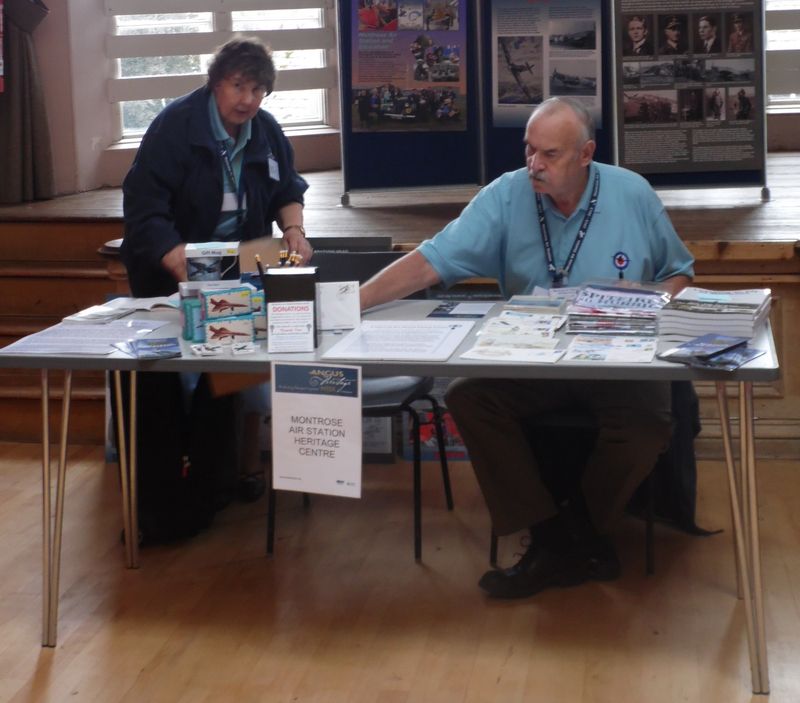 Information on various events has come into the Centre. 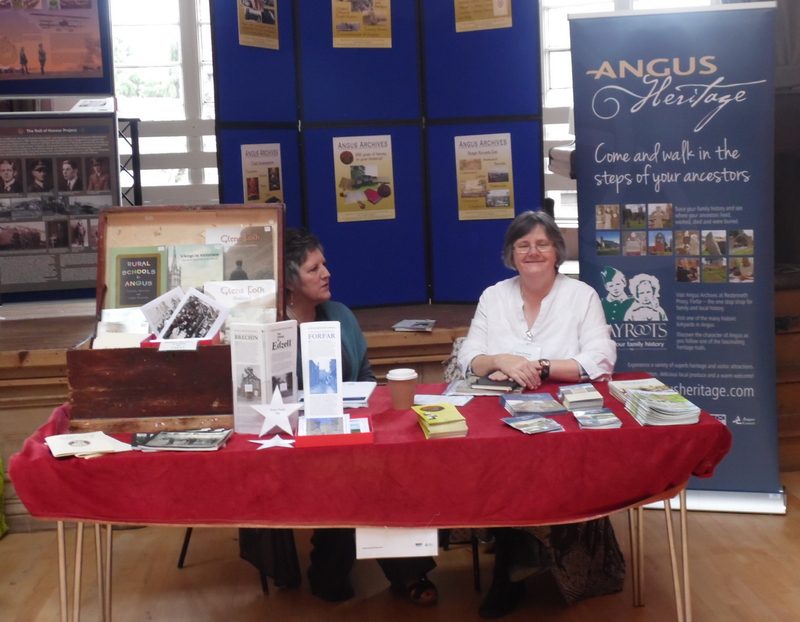 Angus Heritage Week 2013 is taking place from 13th to 20th September in association with Angus Doors Open Days on the 14th and 15th September. A booklet detailing the event programme has been produced. It can be downloaded at the Heritage Week webpage and we have a limited number of copies available to pick up at the TVFHS Research Centre. One of the Week's events is a Tayroots Family History Day taking place on Friday 13 September at the Brechin Mechanics' Institute, 10am - 4pm. There is a programme of talks and workshops, as well as a number of experts on hand throughout the day to offer help and advice. The talks are free, but places must be booked in advance - see the Family History Day webpage. Taking place every Thursday until 26 September 2013 are Arbroath Abbey Monks Tours. With a monk from 1600 as guide, the tour will give you an insight into the story of Arbroath Abbey at a very particular time in history. Details can be found on the Monk's Tour webpage. The September Friends of Hospitalfield Talk is entitled Ceramics: The Asian Market in the 19th Century and will take place on 18 September 2013 at 6:30pm in Hospitalfield House, Arbroath. The speaker is Dr Kevin McLoughlin, Principal Curator, East & Central Asia, Deptartment of World Cultures at the National Museums of Scotland. This event is Free for Friends of Hospitalfield, £5 for non-friends. More information and details of other events held at Hospitalfield House, including tours, open days and courses, can be found on the website. 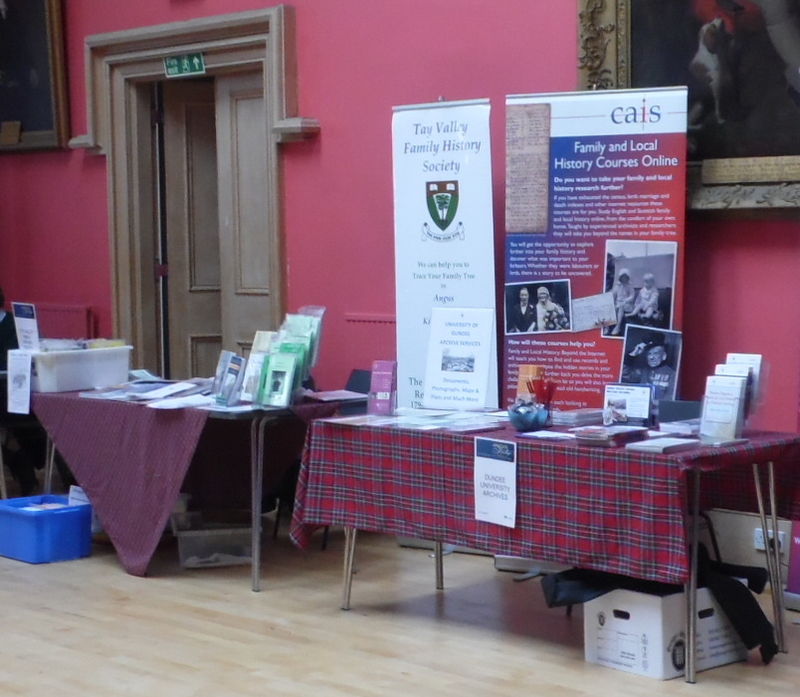 A reminder that the 25th Anniversary Conference of the Scottish Association of Family History Societies is taking place in Dunfermline, on 26 April 2014. More details at www.safhs.org.uk. Ancestry.com is giving free access to all Immigration and Travel Records until 2nd September 2013 - http://www.ancestry.com/cs/us/immigration. Free access to the "UK" (i.e. England, Wales, Channel Islands and Isle of Man) 1911 census on Ancestry.co.uk ends on 14th October 2013. To view these records you will need to register for free with Ancestry. At the recent Society AGM, changes in membership categories and fees were agreed. The Senior Citizen and Under 20 categories (which have the same fees) are to be combined into a single category, Senior Citizen / Student. Due to increasing postal charges, it has been necessary to increase overseas membership fees by £1 per year. UK fees remain the same except for Institutions. The prompt payment discount is reduced from £3 to £2. The new rates can be found at Membership Fees.